With spring just about here and summer not far away, now is a great time to freshen up your look. 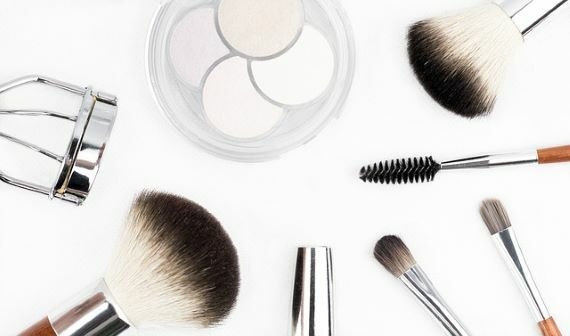 Here are five beauty trends for 2019 that can take you into the coming seasons with style. Some things never go out of style, such as beautiful clear skin. So, for the coming seasons think about ditching the foundation and heavy make-up and instead focussing on improving your skin’s natural appearance. A healthy lifestyle is a great way to give your skin a boost. You can also give nature a helping hand by adopting a skincare regime that suits your particular skin, with serums and cleansing products which achieve that natural glow. Choose a tinted moisturiser with an SPF to protect you from the sun and give you a great natural look. Tip: A tailored spa facial with luxury products can be a wonderful way to refresh and renew your skin. If neutral palettes and the natural look are a little too tame for you, you’ll be happy to learn that the trend is moving towards bold make-up colours. So, get experimenting with bright, vivid shades. New to colour? Start slow, with a vibrant eyeliner or mascara to add a flash of colour to your life. When it comes to colours, anything goes, so try something new. Classic scarlet red and summery tangerine are two great options for this time of year. Just as make-up is going bold for 2019, so are nails! Ditch the nudes for spring and summer and opt for something a bit more eye-catching. Choose a bold colour at your next manicure or take things even further with some funky nail art. As with make-up, the trend is towards making an individual statement, so pick a palette and show off those talons! Tip: Want a quick nail fix? A spa file and polish is shorter than a full manicure, featuring a cuticle tidy-up, nail shaping and the application of a polish in the colour of your choice. One great spring beauty trend for 2019 is the use of the monochromatic make-up palette. This simply means picking one base colour and using various shades across your lips, eyes and cheeks. So, for example, a warmer tone of pink on the lips and eyes with a subtler tone on the cheeks. Applied correctly, this can be a simple and effective way to achieve a fresh look that’s perfect for spring and beyond. Be sure to choose a colour that works with your skin tone and general colouring. When it comes to hair, spring and summer beauty trends for 2019 are all about experimental hair colours, short choppy ‘DIY-style’ fringes and headbands. If you want to try a new look, the ‘in’ hair colours for 2019 include mushroom brown, silver, strawberry blond, copper and jet black. If you want something a little different, pastel shades are also big. To complete the look, long eyelashes and full brows are also set to remain popular this year! Tip: Some spas feature hair salons, so you can book an appointment with a stylist alongside your treatments. If you want to jumpstart your beauty regime for the coming seasons, give our team a call today and ask about our best spa packages and luxury treatments.